As most of you probably recall, our atrocity guru Shintaro Kago had his first European gallery show earlier this spring at the K-SPACE Gallery in Amsterdam. I was in touch with the organizers and staff at the gallery leading up to the Kago exhibit, and I heard anecdotally that some of the visitors to the show name-checked Same Hat and the scanlations by Anonymous K as their reason for showing up to check it out(!?). As a thanks for the posts, they sent along this RADICAL shirt from the show, which I just got in the mail last week! ... and out the brain stem! In addition to being totally fresh in and of itself, there's a K-SWISS tag on the bottom of the shirt. Only in Amsterdam, right? 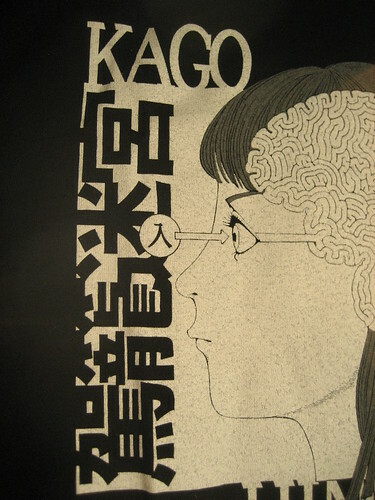 Major THANKS again to the K-SPACE Gallery (and VICE) for all their work promoting Mr. Kago. 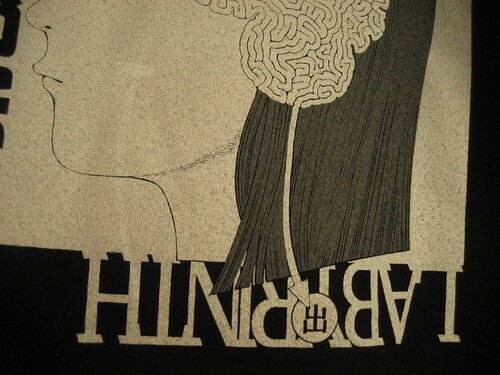 oh my gosh I would kill for that shirt. 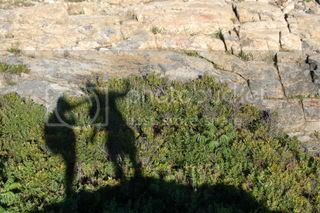 its so awesome! 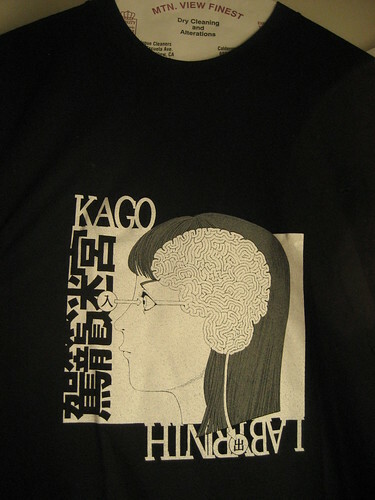 Does anyone know if there is any way to order that shirt or another Kago one online?